You may be confused and frustrated, tried everything that you have found online or what a professional has told you and it doesn’t seem to work - adding to your frustration and fear. There is a fine balance of tough love and support when it comes to helping someone. There is also a balance of, us wanting them to get better so our lives can be easier and less chaotic and wanting them to get better for their own happiness and health. This is a common one that we hear at our centre, and it’s very hard to seperate ourselves from this thought when it is impacting us directly and perhaps when we met them or when they were younger they didn’t have an addiction or it wasn’t so bad. 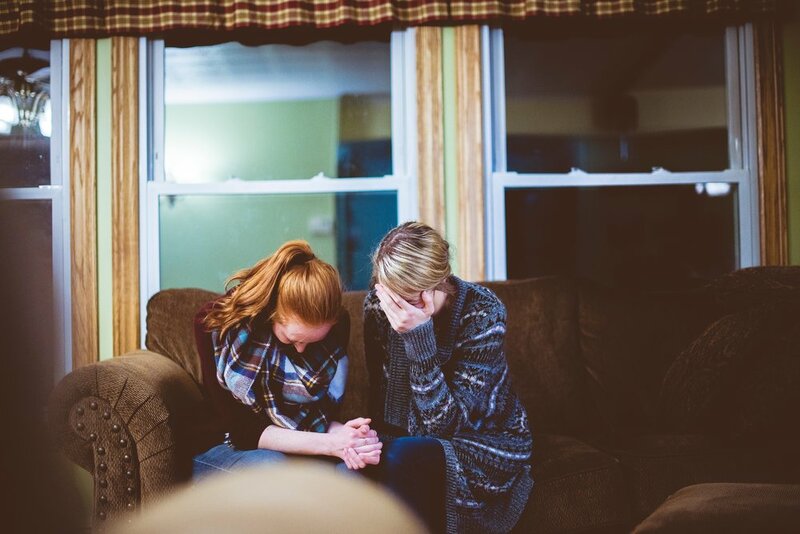 The fact is that, from helping many people with addictions in our private sessions, is that they do actually feel immense guilt for hurting their loved ones. Almost 100% of the time they actually are not continuing the behaviour or substance abuse to hurt their loved ones on purpose - they are actually trying to numb severe emotional pain that may or may not be related to the loved one that it is affecting. No amount of guilt being pushed onto someone will stop them from using - we actually see that it has the opposite effect by adding more emotional pain onto the person with the addiction which may cause the addiction to amplify or get worse. When we give family support sessions as a part of our Addiction Recovery Programs, this is the second question that we get asked after answering the above question. where do you think underlying emotional pain and negative self worth comes from? Usually it is from feeling abandoned or having the perception of being abandoned when we are growing up. If someone is guilted and shamed, and then threatened with abandonment - it only adds to the anxiety and emotional pain. Any abuse in childhood that is getting re-triggered will cause a need for them to cope more. Maybe they were looked at with disappointment all their lives and then we do that now to them and they can do nothing but act like a child and be irresponsible because we have triggered that younger hurt part of them. Check your mental health and put yourself first. They are doing the same thing and you cannot be there compassionately for them if you are not coping either. Create boundaries. Do not let them manipulate you, if they need something they can be quite industrious and get what they need and will experience the negative outcomes of their choices themselves. If you try and support them too much (ie. paying off their debts, giving them money, paying for fuel etc) then they don’t have a reason to want to get out of the ‘game’ and they can enjoy the feel good chemicals that numbs their pain with ease. When you do or give them anything, make sure it isn’t taking anything away from you. Don’t sacrifice your holiday money to pay their rent. If you have a spare room or they are already living at home and it provides a safe place for them (and they don’t put you in any danger and respect that it is your safe space as well) then this can be a loving way to help them. If you do want to help them financially, do not give them money directly. Ask the clinic or rehab if you can pay them directly for your loved ones support, or even better get them to pay for it themselves (which can make them more accountable to attend sessions and get the most out of it if they are invested in it). Understand that recovery doesn’t happen overnight. A slip up isn’t a total failure where they have to start from scratch - sometimes it can be a really important time in their recovery where they can discover what the trigger was. This is a great time to get them to open up and talk about what they feel triggered the need to escape their thoughts and emotions and talk about ways either you or a professional can help them become stronger and more resilient because of it. Written by: Melissa Hiemann, Therapist and Co-Founder of The Melbourne Centre of Healing. Treating Mental Health and Addictions in Melbourne.